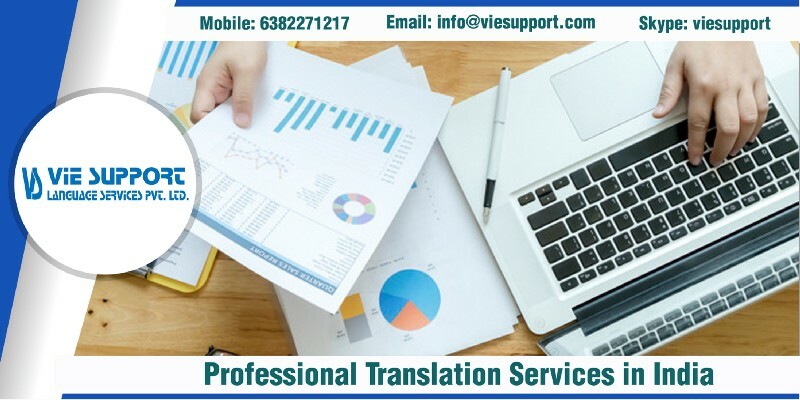 Vie Support is an ISO 9001:2015 certified company offering quality language translation services across various industry verticals. We are your go-to vendors for Professional Translation Services in India of the highest quality and on-time delivery. A team of native translators with domain experience and interpreters back us in all our effort to ensure consistency, accuracy, and infallibility in varied domains, our expert team are subject-matter experts with industry experience to understand and meet your specific requirements. Rest assured of the highest linguistic competence upheld without compromising quality.